Despite the backlash they receive, some of the most influential entertainers still choose to cast their lot with the Jewish state. For better or for worse, Hollywood celebrities have a lot of influence over culture and politics. Simon Cowell, most famous for his role as a judge on American Idol, The X-Factor, and America’s Got Talent donated $150,000 to the Friends of the Israeli Defense Forces. Kayne West, famous rapper and entrepreneur, held a concert in Tel Aviv two years ago, had both of his children baptized in Jerusalem, and is reportedly looking at purchasing real estate in Israel. Scarlett Johansson, the Jewish actress who portrays Black Widow in the Marvel Comics movie series, stood by the company SodaStream, for whom she was a brand ambassador when they were criticized for having the company based in the disputed territory of the West Bank. Sarah Silverman, Jewish comedienne and actress, who often uses humor to address social injustice and whose sister lives in Jerusalem, signed a 2014 pro-Israel statement along with 190 other Hollywood celebrities. Seth Rogan, Jewish comedian, filmmaker, and actor who did voice work for the cartoons Horton Hears a Who! and Kung Fu Panda, signed the 2014 pro-Israel statement and has vehemently attacked anti-Semitism on social media. Mayim Bialik, the Orthodox Jewish actress and neuroscientist, who is most famous for her role on The Big Bang Theory, openly declared she is a Zionist despite receiving fan backlash. Arnold Schwarzenegger, actor, bodybuilder, and politician, most famous for his role in the movie Terminator and being the former governor of California, has publically declared his support for Israel against terrorists. Bill Maher, comedian, actor, and political commentator, who currently hosts the HBO show Real Time with Bill Maher, is unrepentant in his defense for the right of the Jewish state to exist and the need for Europe and the UN to stop their criticism of Israel. Sylvester Stallone, actor and filmmaker most famous for his roles in the Rocky and Rambo series, also signed the 2014 pro-Israel statement despite receiving much criticism. Chuck Norris, martial artist, actor, and filmmaker, whose martial arts moves in actions films are legendary, has often voiced his support for Israeli Prime Minister Benjamin Netanyahu and has filmed three movies in Israel. 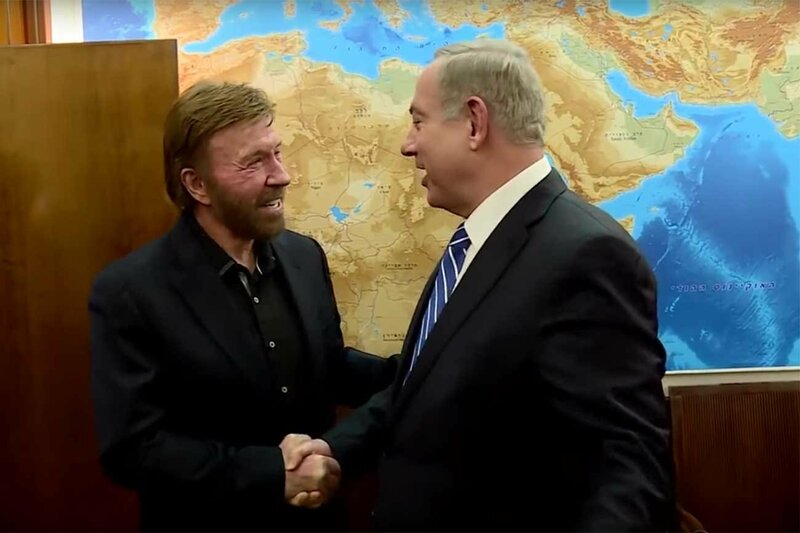 Chuck Norris meets Prime Minister Benyamin Netanyahu in Israel.